I played baseball and football from grade school to High School and dabbled in many things physically dangerous including gymnastics, wrestling, and MMA, all backyard, unsupervised, and unsanctioned. I’m still in awe I didn’t die before college given the many “situations” I got into. When I didn’t make the grade for AAA baseball, I needed a way to pay for college so I tried out for and made the cheerleading team. Not ideal but it got the first year of school paid for in full and gave me a decent improvement for my past gymnastics attempts. All throughout high school, college, and my enlistment I went to the gym religiously building single body part after single body part and surfed my arms off (part of the reason I did so great in college). Even my diet came from the magazines: chicken breast, sweet potato, veggies, creatine, and protein! After college I started training in BJJ and coached an Army Combatives team, sweeping one local tournament and placing in the All Army Tourny that year. It wasn’t until 2011 before my deployment to AFG that I had heard of Crossfit. 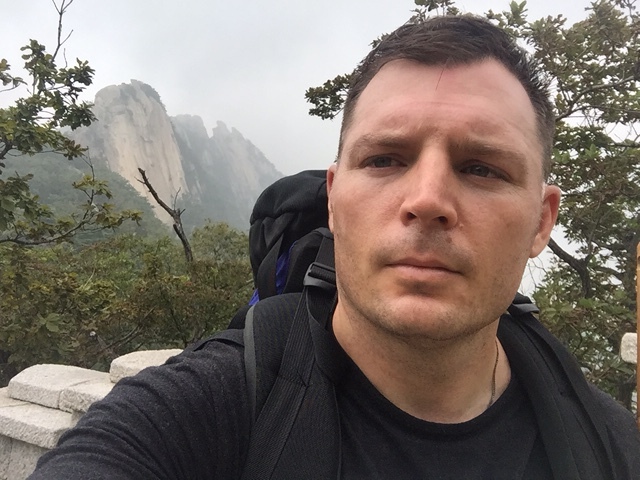 Now, admittedly, I had recently been doing crossfit-like workouts because I had grown tired of the free-weight routine, Army PT regimen of run, push-up & Sit-up improvement, and rucking, and dealing with a torn rotator cuff from over-use and no stretching. Enter crossfit: Before my deployment I began collecting and making, yes making, equipment for the garage gym and began programming my own workouts. During the deployment I was using what equipment I could wrangle up from the compound and the local “gym”, getting creative with T-walls, sandbags, and sledge hammers. Went back to Hawaii looking for a box but only found high prices and less than friendly people so I continued to build my own garage gym: complete with DIY kettlebells, box jumps, bar racks, etc. I used my garage gym and my WOD programming to train for my first triathlon, the Xterra Mountain Man in Hawaii. 5 years later I still hate running but I’ve found my first real home box. As a coach I love being apart of an athletes “aha” moments when a movement starts to click; it’s even better when they’ve struggled for a spell but never gave up. I’m looking forward to what this coaching opportunity brings; we’ve got some great and dedicated athletes, wild cats, and overall awesome people to call mates!